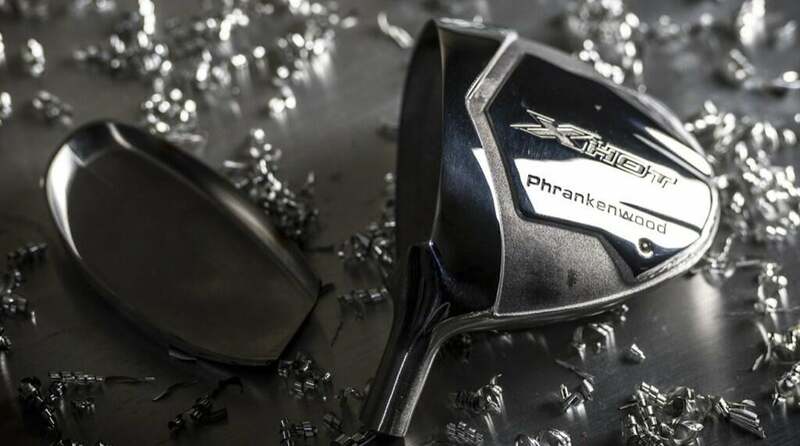 A closer look at Callaway's Phrankenwood in its developmental stage. In the pantheon of notable Masters equipment changes, Phil Mickelson holds the title by a wide margin. Two drivers. No driver. Two lob wedges. Lefty has done it all at Augusta National, Bob Jones and Alister MacKenzie’s architectural masterpiece that demands every conceivable shot type to tame. Mickelson operates with a child-like zeal when it comes to piecing together what’s essentially a 14-piece equipment jigsaw puzzle. More often than not, his wild, out-the-box ideas have paid off, the most notable being the two-driver setup at the 2006 Masters that allowed him to produce a left-to-right ball flight and vice-versa, depending on the shape of the hole. Only Mickelson could’ve talked himself into fully embracing such a bold strategy at a major championship — and actually pull it off. To this day, his victory with duplicate clubs designed to produce different shot shapes remains one of the most macho equipment flexes in golf history. And yet, when you look back on his Masters equipment changes, one could argue the two-driver setup might actually be trumped by one club: Phrankenwood. In the months leading up to the 2013 Masters, Mickelson approached Callaway’s R&D team to inquire about the possibility of creating a one-off club just for the Masters that allowed him to get ample rollout with the same face cup technology the company had unveiled with X Hot 3Deep — a deep-faced fairway wood Mickelson had been using primarily off the tee. 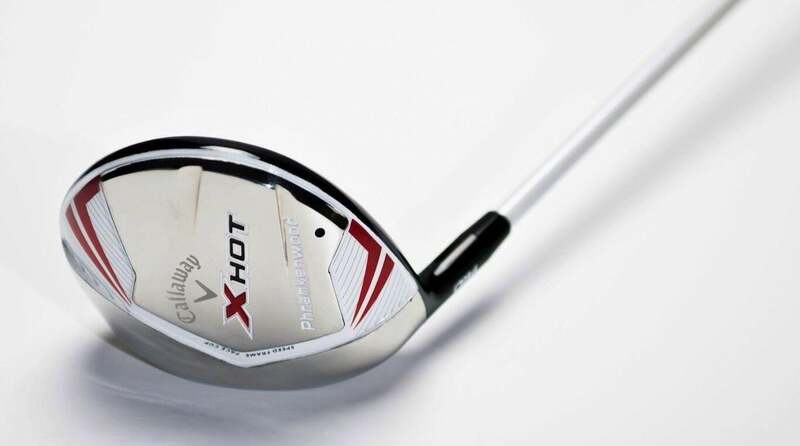 Earlier that same year, Mickelson left Phoenix victorious with Callaway’s RAZR Fit Xtreme driver in the bag, but during testing with 3Deep, he started to notice the fairway wood was going as far with close to the same spin he was generating with his driver. Looking for a club with the same workability characteristics and face technology as 3Deep, in driver length (45 inches) and loft (8.5 degrees), to take advantage of the tee shots on 9, 10 and 15, in particular, Callaway’s R&D department weighed the possibility of getting something in Mickelson’s hands under the tightest of deadlines. On paper, the prototype sounded like a great idea. But to even get close to the finish line, the R&D team had to somehow come up with a proof of concept in less than two months, get Phil to like the prototype enough to test it … and then hope to god it didn’t go haywire on national television if he decided to put it in play. 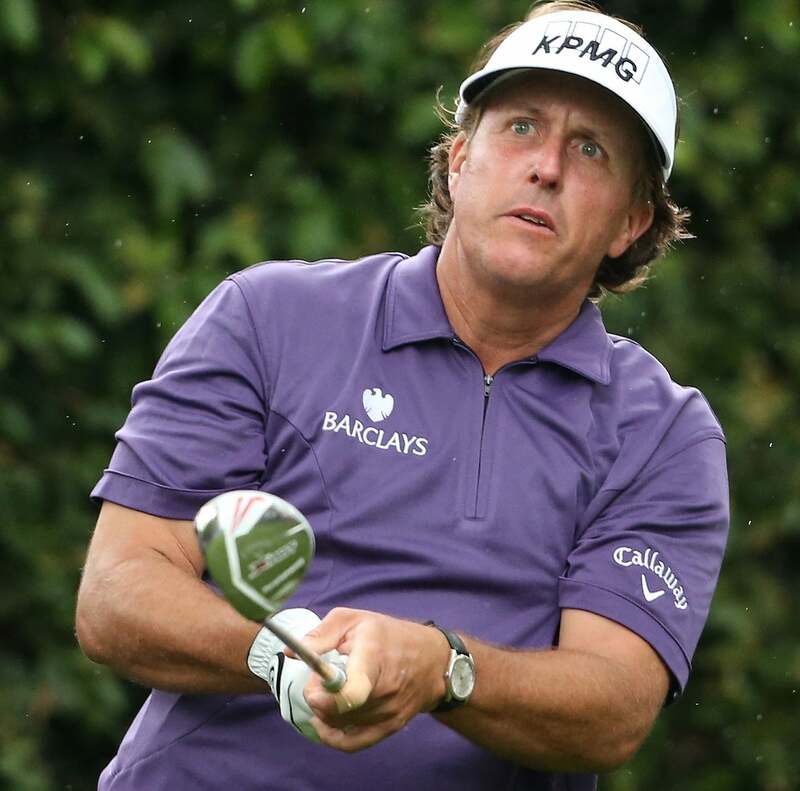 Phil Mickelson first used Phrankenwood during the 2013 Masters, only a few months after it was designed. Up until that point, Callaway was comfortable creating one-off iron sets, wedges and putters in-house for Tour players at their headquarters in Carlsbad, Calif., but attempting to do the same thing with a metalwood was a different beast. Parts are normally made by vendors in other countries, meaning Callaway would have to machine a majority of the parts in-house but still rely on outside assistance to manufacture the head. Not to mention they had to somehow figure out how to blend current face technology with stainless steel while utilizing a larger 250cc head geometry — 3Deep was 185cc — and wall thickness. Three men in particular were at the epicenter during the mad-dash to create Phrankenwood — Evan Gibbs and Brad Rice from Callaway’s R&D department, and Gerritt Pon, who’s spent more than a decade building Mickelson’s equipment as a senior club technician. Six years after Phrankenwood was unleashed at Augusta, we look back at how the one-off creation came to life through the eyes of the men who built it. Some of the responses have been edited for clarity and length. Not even Phil Mickelson thought Phrankenwood was a sure thing. At the time he floated the idea to Evan Gibbs and the rest of Callaway’s R&D group, the general consensus was it would be an incredible feat to get a new club made in time for the Masters. 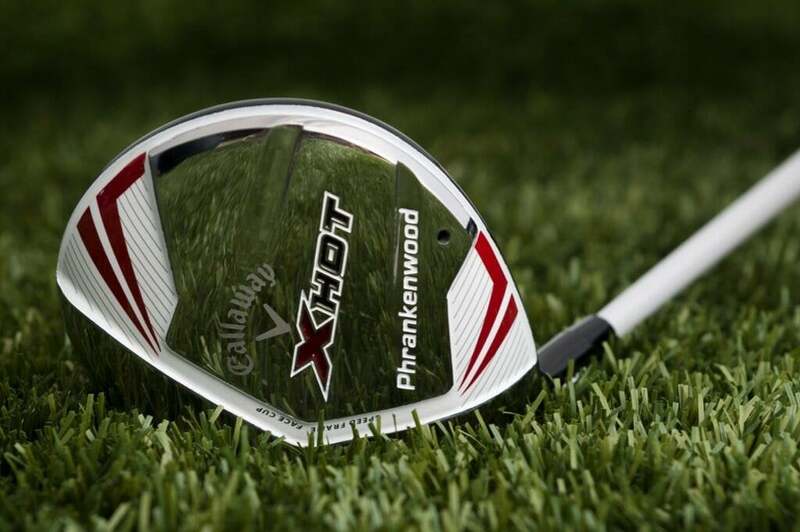 But considering Phrankenwood was for Mickelson, the face of Callaway Golf, it was worth giving the design a shot. Worst case, Mickelson went to Augusta with 3Deep as his “driver” — a club he was already hitting as long as his actual driver. 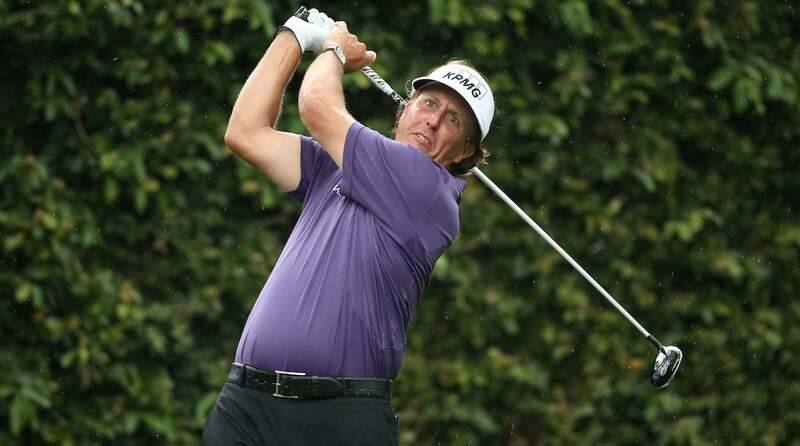 Gerritt Pon (Callaway Senior Club Performance Analyst): Phil’s preparation in general tends to be around Augusta with his equipment for the start of the year. He wants every club to be dialed in, with that course in mind. And a lot of times, he’ll end up playing different courses before Augusta, and try and emulate or simulate a shot that he might hit at Augusta. At the time, he was not hitting a lot of fairways hitting up on the golf ball. The hope was this would be the answer — a fairway-finder that didn’t lack distance. Brad Rice (Callaway R&D Advanced Engineering Director): I thought it was quite interesting when he brought it up. If you step back and look at the whole driver landscape, we had a question on how large we could make something in stainless steel and still keep it relevant — not to mention keep it really hot. Because clearly you can’t take this construction and make a 460cc driver. Evan Gibbs (Callaway R&D Advanced Engineering Director): I remember talking to Phil a lot about what exactly he wanted this thing to look like. What length he was planning to build it at was another big variable because he, even to this day, changes shaft length in his driver quite often, so we really had to have an understanding of how he intended to play this club. We needed to know that to know how heavy to make the club. Back then we didn’t have a lot of screws in the head to be able to change club weight as easily. So it definitely helped to know what his vision was for the club. Phrankenwood in all its glory. Pon: One of the things at the time that Phil felt like helped him with his accuracy off the tee was being able to hit down on the golf ball, which he could do with 3Deep. When guys are really hankering to try to get more distance with their drivers, that forces them to practice with their driver a lot, where they’re trying to hit up on the ball, tilting their spine angle and doing all the things to get higher launch and lower spin. Then their iron game kind of goes downhill a little bit. So he was pretty stoked at the idea that he could do that off the tee and not affect his iron play, and then have accuracy. Gibbs: The Phrankenwood was this crazy idea that was brought to life in a quick matter of months and I think it was R&D who came up with the name because we were kind of … Frankensteining this thing together. It wasn’t a fairway wood. It wasn’t a driver. We were taking components, some that we made here, some that we made overseas and kind of slapping it all together and crossing our fingers. Rice: You live for these projects. They are incredibly rare, and when they do happen, it’s not often you get to build almost the entire club in-house. Not to mention it was for Phil at the Masters. Gibbs: We move pretty fast in R&D, but this was kind of another level and part of the challenge. We knew that this wasn’t a long-term solution for him. We knew it was probably something fairly niche and wouldn’t catch on with other players. It fit Phil and his attempt to find something that could produce a cut shot with spin of around 2,500 RPMs for the course setup at Augusta. That’s it. Part of the fun of it is we were kind of pressured for time and didn’t have the luxury of going through all the prototyping and testing to pull it off. Pon: It was a unique situation, just due to the fact that there’s a lot of energy, cost, time, man hours put into making a club for a guy with some credentials. Obviously, Phil has that. To go to your manufacturer and say, “Build a club just for me.” We tend to do that for him more than some of the other players. What Phil wants, Phil gets. Gibbs: We were sweating getting it done in time. We had nothing else to do research on and test because it was so different than anything else. I don’t think Phil even thought we could pull it off by the Masters, quite honestly. I think the first time he asked for it, he was almost kind of half joking, because he says all the time, I want this and I want that and not all the time do we just drop everything and go do it. But this is an instance where, for whatever reason, we did. Due to time constraints, standard prototyping wasn’t a viable option, meaning Mickelson never had the opportunity to hit countless versions over the span of several months. To put the time crunch into perspective, Callaway machined the faces for Phrankenwood in-house, something they almost never did for metalwoods, but had to go outside the office for the stainless steel body once the design was finalized. They didn’t receive the bodies until March 22. That left less than one month to weld the head and get a finished product together for Mickelson to test. And obtain final approval from the USGA. Gibbs: We did a lot of virtual prototyping in terms of computer simulation. The thing about this club is it’s so unique that we didn’t really know once it was put into Phil’s hands how exactly it performed because we didn’t have other clubs like it to compare it to. We didn’t have a chance to do any prototyping, we built them and that’s the one or two that he got, so it was quite different than a typical product where you’re going through months and months of development, and prototyping, and tour testing, and validation. Rice: The body casting is something that we don’t do here at Callaway today. And we didn’t do it at that time either, so we still had to source castings from our traditional supply base. But we knew that the engine of the thing was going to be the face cup. So we sourced bodies from our supply chain, and we physically machined each individual face cup — we had slightly different thicknesses ready to go — at Callaway in our prototype shop. Then we had to weld them together, heat treat them, test them. We had to go through that whole scenario to get finished parts together. Pon: Around the same time Phrankenwood was being created, I remember Phil saying, “Well, if 3Deep is as good as it is, why don’t we make me a driver equivalent?” So that started with trying to just take a 3Deep and bend the loft strong. We were bending it down to driver loft, and then lengthening the shaft to driver length. And, of course, the things that are kind of negative in a long club with a small head is that the mishits are super penalizing. Needless to say, it wasn’t great. Gibbs: For woods it never happens where we build the club almost completely in-house. We do that all the time for sets of irons and wedges, and even putters, most of our machining capability here is dedicated towards those categories, not so much on the wood side, so this was kind of a unique opportunity. Rice: I remember waiting for the bodies to come in from our Asian supplier and they showed up on Friday afternoon (March 22) from FedEx. Phil was hitting a club Monday (March 25). Now that sounds easy, but it was really difficult to get multiple heads together to weld them, finish them, heat treat them, test them, and really have something that was hittable for him by Monday. It was a pretty long weekend. I still remember the first Phrankenwood prototype Phil hit didn’t even have paint on it. Gibbs: When you scale down titanium to make a fairway wood, you lose some of the benefits of the titanium in the body. The whole process was exciting because it was playing in a head volume that hadn’t really been explored in the kind of wall thickness and face performance. You have to remember we used 455 Carpenter Steel for the face and a [thin cast] stainless steel for the body, which is totally different than what we used for a driver. Rice: This is definitely the fastest that we’ve taken a design, got parts that did what they were intended to do, get it in a player’s hand and have him happy and get USGA submittal. It was incredibly fast. And we were doing it in a face cup size that we had never made before. We didn’t know if something was going to fall over in the end. Maybe it was hot, but it wasn’t durable enough or maybe it wasn’t hot enough and it was going to take us three weeks to figure it out. Rice: One of the major hurdles before it gets the green light is making sure it’s compliant before it goes to the USGA. Because once it goes out to the USGA, we can’t go change anything on it. We can’t even change the paint colors and the cosmetics. It’s literally got to be checked as-is. So we had to do things like bring in custom decals. Because we didn’t have any decals that would fit something that size. We went to our regular graphic supplier for that one, but there’s a lead time on it, there’s a specific size on it. You hope everything’s going to fit when it comes in. And then he would fly in when he could to hit something and check different iterations as we went. Gibbs: The design and virtual prototyping went as well as could be expected given the timeline we were working with. Basically went off without a hitch, which was necessary to get it in Phil’s hands. Rice: They didn’t see a few heads downstairs that I threw away and were never seen from again. In the middle of Sunday afternoon, we had to make bend fixtures because we heard that Phil wanted to change the lie. So being able to turn those things quickly or the things that kind of jumped up that we had to manage was highly important. On March 25, Mickelson tested Phrankenwood for the first time at Callaway’s Ely Callaway Performance Center, just down the road from company headquarters. That was the Monday of Shell Houston Open week, an event Mickelson would go on to use the 13.5-degree 3Deep as his “driver” during the weekend rounds. Twitter and equipment message boards exploded. Callaway had no clue if Mickelson would even play the club at Augusta. And yet, here was their pitchman, building the buzz organically through his sheer excitement for a club he’d seen, and hit, just a few days prior for the first time. Callaway couldn’t have scripted the moment any better. But the question remained: Would he really put it in the bag? It all came down to how it tested. Gibbs: The fact he wanted this club built for the Masters and was testing it so close to the actual tournament week tells you he’s willing to take risks. He’s always looking for an advantage and he’s been very close in the product development over the years. He’s excited to see what the possibilities are to do with his equipment. Testing for him with something that could potentially be a game-changer is a lot of fun. Pon: I played with him the week we built it for his first round here in Rancho Santa Fe. Randy Peterson [Callaway’s director of fitting] and I went and played with him and he liked it enough. It wasn’t mind-blowing as far as, “Wow, look at the numbers. Look at the accuracy. Look how much greater and farther it’s going.” It was kind of like, “Well, maybe there’s some potential here.” It was not a whole lot easier to find fairways compared to a typical driver because it was at driver length and loft with a smaller head size, which is a bit of a disadvantage on inertia there or forgiveness. An early photo of Phrankenwood before the body and face were welded together. Gibbs: Even after testing, I don’t think there was a certain moment where we knew for sure he was going to use it. He was still trying to get comfortable with the club. You put so much time and effort into a product, you want him to use it. But that’s ultimately Phil’s decision. He needed to get it on the course and see what happened. That’s the only litmus test that matters. Pon: He was trying to get as much speed as possible, and that head being made out of steel was, it was around 217 grams, which is a fairly heavy weight for a driver. He plays a little bit heavier club head or heavier mass than a lot players do, but that one was heavier than he was used to. But swing weight was something that he didn’t want to be different, so I initially built it with a lighter shaft than he was playing, up to that point, with more a more counterbalance feel to achieve the length that he wanted for swing speed, as well as the swing weight for the feel. I think we even put a little weight under the grip, just to achieve the swing weight that all of his other clubs were. Mickelson eventually made the decision to put the club in play, but according to a Golfweek report, even Callaway’s vice president of sports marketing, Nick Raffaele, admitted on Monday of Masters week that he was in the dark on Mickelson’s direction. Gibbs: By that point, we’re out of the picture. It’s up to Phil. I think because of the unique nature of the club, it made watching him use it at the Masters extra special. Rice: I was holding my breath hoping it would hold up that week. We had done everything possible, but you just never know what’s going to happen. I think it was more nervousness than sheer excitement. Pon: Because I’m the last guy who takes the parts and puts them together, there’s not as much riding for me. I knew Phil liked the setup we built and was comfortable with the club. At that point, you know he’s going to give it a go. I wasn’t nervous at all that week when he took the final version to Augusta. Just wanted to see how he’d perform with it on the course. Mickelson talked a big game prior to the opening round, believing the club could provide an edge over the field. To some extent, he was right. Mickelson ranked sixth in distance (298.2 yards) and ninth in accuracy (71.43) ­— a massive improvement from his usual stats off the tee. The result, however, was anything but memorable. Mickelson went on to finish T-54 for the week, still his worst Masters finish to date. 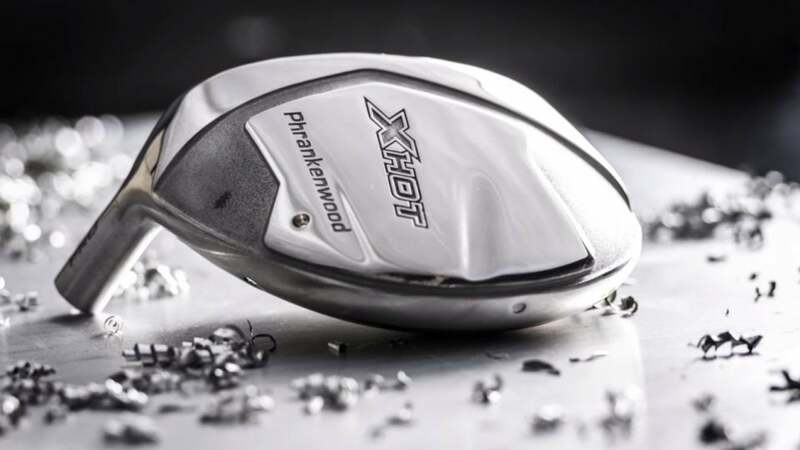 Looking back, Callaway’s R&D team didn’t deem Phrankenwood a failure based on the result. The club was a rousing success based solely on how successful the team was able to go from proof of concept to a finished product almost completely in-house under an ultra-tight deadline. Phrankenwood is a reminder to R&D that anything is possible. Mickelson would eventually shelve Phrankenwood shortly after the Masters for a more conventional setup before going driver-less — with 3Deep playing a crucial role — en route to his win at the Open Championship. Phrankenwood never came to retail. Gibbs: I mean I can’t think of another driver or wood that we’ve done for a player that is to that level. Obviously, he played two drivers and won, but that was more of a club configuration thing more than finding a whole new club for him. I think one of the things we learned about some of our capabilities in house in terms of being able to go through this virtual prototyping, being able to create something that quickly that kind of matched in performance what our design objective was, so I think we learned a lot about our capabilities to pull that off. I couldn’t believe it was only six years ago that we built it. It seems like that was a decade ago. Rice: I think looking back on it … it was obviously a fun club because it was so unique. But I think it was really kind of symbolic of not only Phil’s creativity and willing to go outside the box and be a little unconventional and try things in such big tournaments, but also shows the relationship between Phil and R&D. We’ve had a really close relationship with him, and our kind of willingness to explore some of those ideas for him. I think it did what we hoped it would do in terms of performance, and he did drive the ball well that week. Pon: Every year, a few people still ask about it and it’s one of those things that it was so iconic at the time. I think we can really be proud of helping him do that, where maybe other locations would not be as free with that kind of input from a player. Rice: We made some right-handed Phrankenwoods to do other testing here and to get in some other people’s hands in case they were interested in doing it. Those versions actually never went to the USGA and never had full cosmetics. They’re just painted black with a polished sole. There’s a few of them still around. I’ve got a fully finished version. That was actually the backup to the backup. I actually have two right-handed versions sitting in my office as well. Always fun to look over at them and remember that project. Gibbs: I think one of the reasons why he didn’t stick with Phrankenwood was because it really suited the Masters, and he didn’t do great that year. He had an exceptional week, for him, off the tee, but that was about it. I think versatility played a big role, too. He was able to hit 3Deep well off the tee but also could hit it off the ground, that’s the kind of infamous club that he used to win the Open Championship where he hit those two three-woods, probably the two best three-woods of his life he would probably tell you. It wasn’t a bad decision. Rice: Since I’ve managed the prototype area here, one of the things that I said was that it’s important to remember that these fabrication capabilities still exist here. And that we can do this kind of work because there are a few years where we were not doing a lot of this stuff. It was also a separate awakening for us that we needed to service things a slightly different way, too. I remember there were some discussion of bringing it to retail, but we knew it was a niche product. Obviously you’d get a few of your equipment junkies that would buy it, but it wouldn’t have done great at market for most amateur players.